Our four-year-old niece is coming to stay this weekend! This will be her third overnight with us without her parents; they live over two hours away so we’ve tried to make this at least an annual event and it’s something Mr. Lemon and I always look forward to. Last year, we took her to see Pink-a-licious and had a mini lunch party with her. Saturday we will be taking her to see the Grand Rapids Symphony and the Grand Rapids Ballet collaborate on Hansel and Gretel so we thought it was a great excuse to have another lunch party. This theme leans on a red and white scheme with some Swedish accents. I included a lot of lunch inspiration and a gingerbread house (it’s Hansel and Gretel!) so the kids have something to do. 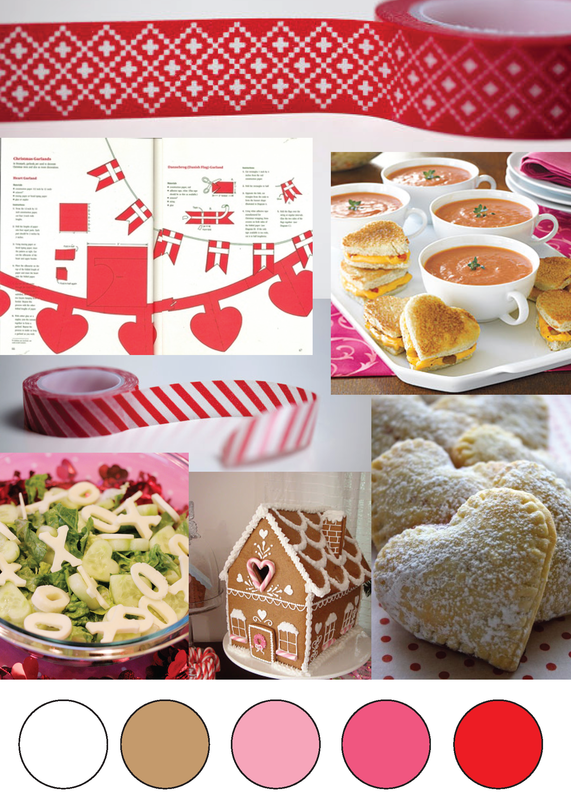 This entry was posted in Party Inspiration and tagged red, valentine's day. Bookmark the permalink. You do know that Hansel and Gretel is a German fairy tale, right? Those grilled cheese cut into heart shapes may be THE most adorable thing I’ve seen in ages. Kids, schmids. I want to make those for me and my sweetie this Valentine’s. I also want to wrap everything I own in that top washi tape. It’s amazing. Great board! Yup, heart grilled cheese are the new black. That washi tape is en route to me as we speak!